I’ve been following Apple for a long time. I went to Macworld for the first time when I was 10, I first stood in line for a product release when I was 13, and I’ve been a shareholder since I was 14. I wouldn’t consider myself an Apple “fanboy.” (Then again, who would?) Maybe “enthusiast” could work, but it’s not my favorite word. “Loyalist” isn’t much better, but I guess I can live with it. In any case, although I use a number of Google services, I am otherwise pretty much fully invested in the Apple ecosystem. Over the past year or so, I’ve noticed that I’m not as excited about Apple as I used to be. I still watch the livestream of every Apple event (and live tweet them to all three of the people who follow me on Twitter), but I’ve started to find them less exciting. For a while I wondered if it was because I was becoming older and more jaded, or perhaps getting a degree in computer science has made technology less “magical.” Maybe it’s because pretty much everything leaks before it’s announced, so there are few surprises during the actual event. While all of these things may be true, I believe the biggest change is that Apple has lost its charm and sense of whimsy. I’m not here to criticize Apple for “not caring about the Mac” or for not innovating anymore. Apple is currently in a period of “evolution” rather than “revolution,” and we can’t expect a game-changing product like the iPhone every year.¹ I’m not here to complain about iTunes or how after using my Mac for nearly a year, I am not sold on the Touch Bar, or how the unibrow² on the iPhone X is one of the ugliest design decisions that Apple has made in recent memory. I’m generally pretty happy with Apple as a whole, but using Apple devices just isn’t very fun anymore. The word “fun” in this context means something very specific. Some parts of iMessage, for example, are still fun in the traditional sense. Text effects, iMessage apps, and stickers are all intended to make messaging more fun. Animoji will be enormously popular. Photo Booth (for iPad and for Mac) is another place where Apple demonstrates that its products should not be used solely for work; after all, all work and no play makes Mac a dull toy. But the charm and everyday enjoyment — the thrill and delight — of using Apple products seems to have mostly disappeared. Mac has seen the biggest changes. I suppose iOS has lost a bit of the Apple charm (e.g., in skeuomorphism, though generally I much prefer the flat design of iOS 7+), although I’m not sure it had a lot to begin with.³ Most of the fun of using an iPhone in 2007 was the novelty of the interface. Scrolling was so cool. I love my Mac, but using a Mac is a different experience today than it was five or 10 years ago. Upon setting up a new Mac or upgrading to a new version of OS X, you used to be greeted with a welcome video and pleasant background music. This was your first interaction with your new Mac, and it was, for lack of a better word, friendly. Apple was giving you an indication of what the experience of using your new Mac would be. While I know some people — particularly those who had to set up a lot of computers — found these videos annoying, they always made me happy. They made setting up a new computer or upgrading my operating system (a process that admittedly isn’t much of a big deal anymore) feel special. The last time we were greeted with these videos was in Snow Leopard (OS X 10.6). Setting up a new Mac is, well, kind of boring now. This represents a bigger shift in the daily experience of Mac users. I don’t expect using a Mac to be constantly exhilarating, but Apple seems to be removing many of the small aesthetic features that have given Macs character. When OS X was first introduced, Apple made it possible to slow down animations so that Steve Jobs could demonstrate minimizing a window in slow motion, and this has remained in macOS: If you hold down the shift key before certain animations start, they play in slow motion. This was just a (tiny) fun feature that didn’t have any practical value, but it made a small contribution to the “different” experience of the Mac. In High Sierra, Apple has moved WindowServer to Metal 2 and in doing so has removed this Easter egg. In terms of features, it’s a totally harmless change. In terms of character? It’s a little sad. 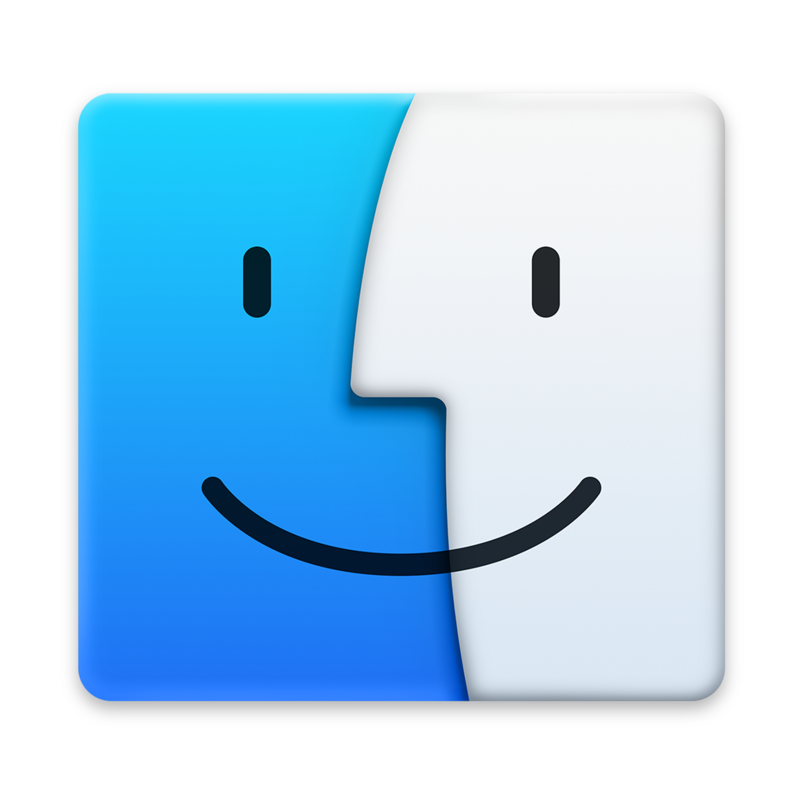 The Finder icon, smiling since the 1980s. With OS X Yosemite in 2014, Apple removed skeuomorphism from the Mac and introduced an iOS 7-like flat design. Along with this change, Apple redesigned application icons. Many of them lost a bit of character. The “crazy ones” text disappeared from the icons for Notes.app and TextEdit.app. The text on the stamp on the Mail.app icon removed the reference to Apple’s hometown by changing the words “Cupertino, CA” to “California.” The Game Center icon changed from a depiction of games to four colored bubbles, for a reason that still isn’t quite clear. One of the only icons that retained its pre-Yosemite charm is the Finder icon, which I think is too, um, iconic to ever change.⁴ Changes to application icons were not the only aesthetic changes Yosemite brought, of course. Icons no longer vanish with a puff of smoke when they’re removed from the dock, though oddly enough the puff sound effect still plays. Instead of extending the science fiction metaphor by bringing the user into space, Yosemite displays a blurred-out version of the user’s desktop background when Time Machine is invoked. The changes that have taken place in the Mac experience over the past few years aren’t limited to Yosemite. I haven’t been able to figure out exactly when they disappeared, but Apple no longer ships the novelty voices like Zarvox and Trinoids for text-to-speech, though they can still be downloaded through System Preferences. To the best of my knowledge, Bruce the Wonder Yak doesn’t exist in Final Cut Pro X. While I understand why Apple stopped bundling third-party software, as a kid I always enjoyed when a Mac would come with games like Cro-Mag Rally or Marble Blast Gold. Last year’s introduction of the redesigned MacBook Pros was another hit to the charm of the Mac, as we watched Apple tragically kill both the glowing Apple logo (whose death really began with the 12-inch MacBook in 2015) and the startup chime (as well as MagSafe, which is an entirely different issue). With that said, Cook doesn’t seem like the type of person who would ever consider dressing up as Willy Wonka to meet the person who found the golden ticket hidden inside of an iMac box. I can’t imagine Cook deciding that a drawing of a man should appear every thousand times a user opens a menu, complete with references to his backstory in the manuals. A bit more seriously (and less speculatively), a good point of comparison here is in the way that Apple keynotes⁷ have changed since Cook took over. A software funeral would feel totally out of place today, as would Phil Schiller jumping onto a mattress to celebrate “one giant leap for wireless networking.” There’s no drama anymore. If you have two hours to kill, watch the original iPhone introduction and compare it to the original Apple Watch introduction. The difference is striking. When Jobs introduced the iPhone, he spent quite a bit of time explaining the issues with smartphones of the time and how Apple aimed to address them; Cook began his introduction of the Apple Watch with a video reminiscent of an iPod nano ad and never gave much of a motivation for the existence of the device (i.e., the product category) itself, other than effectively saying, “Smartwatches are getting popular and we think we can make a better one.” I wanted an iPhone from the minute it was introduced, though I didn’t get one until the iPhone 3G came out. I wasn’t convinced that I wanted an Apple Watch until I realized that it would be released close to my birthday. As much as I’d like to avoid the topic of Jobs himself, it’s impossible to have a real discussion of Steve Jobs-era keynotes without talking about his presentation style. Steve was the keynote. Theatrics aside, no one can give a keynote like Jobs; his keynotes were so legendary that they were dubbed “Stevenotes.” As much as I love the Craig Federighi comedy hour (and I really do), there’s nothing quite like the Stevenote anymore. Regardless of what people may say about his reality distortion field, Jobs had a way of showing the audience that he loved the products he was introducing. He sometimes seemed as impressed with them as he wanted us to be. He told us how to feel when using Apple products. Now when Apple executives demonstrate their products, it feels just like that — like a demonstration — rather than like the presenters are having the “magical” experience they want us to have. Apple’s style is a bit more corporate now. While keynotes are one way that Apple projects its own image of itself, advertising is the other. Apple famously told the world in 1984 that the Macintosh would be different and that Apple would be different. If you used a Mac, you would be rebelling against Big Brother — not necessarily the governmental Big Brother of Orwell’s 1984, but the corporate Big Brother that was IBM, which dictated how the computer industry should work. (I’ve seen arguments from some people claiming that Apple has now become the Big Brother that they were fighting against, but I think that’s a bit of a stretch.) Using a Mac was going to be empowering; it was going to be a different way of life. When Jobs returned to Apple in 1997, he decided, among other things, that Apple needed to advertise its brand and its values. Thus the Think Different campaign was born. Apple praised the “crazy ones.” Apple saw itself as a rebel in the computer industry in 1984, and it continued to see itself that way in 1997. There is an enormous amount to say about how Apple sees itself in comparison to other corporations, but the Think Different campaign was explicitly about the company itself, but implicitly also about its products. Using a Mac wasn’t like using Windows; it was different. For a long time, Apple prided itself on making products that “just worked” and were easy to use.⁸ Macs were a pleasure to use, and Apple was proud of this. They were different, in part, because of their charm. It should come as no surprise that there’s a good story behind Steve Jobs’ narration of this ad. Think Different was an ad campaign for the Apple brand upon Jobs’ return to Apple and therefore was about the company’s values, rather than its products. But Apple has run a number of product ads which also weren’t very much about the specifics of its products. The first iPhone ad was about a common human experience: answering the phone. The silhouette iPod ads showed how iPods could become part of people’s lives. These ads didn’t need to explain the devices they were advertising. They hardly needed to show the devices. Of course, this doesn’t mean that Apple didn’t run ads explicitly about the products. The first MacBook Air ad was essentially just showing off the product. The same is true for a number of iPod ads. When Apple launched the iPhone, it ran a series of ads telling people how to use it. While these ads are about features of their respective devices, to me they almost feel more about design. Apple’s modern ads, by contrast, are about how people use the products. They’re about features. The “Get a Mac” ads were all about features but they maintained the traditional Apple silliness and whimsy. (It’s not an ad, but I do admit that the Jony Ive video for the iPhone X was very silly during the Animoji part.) Despite being more cinematic, Apple’s ads don’t feel very special anymore. They’re still good and definitely able to evoke the intended emotions — I love the iMessage balloon ad — but they aren’t nearly as culturally pervasive as they used to be. I’m sure a lot of people are familiar with most of the older ads that I’ve referenced, but how many ads (or ad campaigns) from the past few years can you remember? The iPad tweet ads are a step in the right direction (and the ad campaign feels pretty similar to “Get a Mac”), but I wonder how many people are familiar with them? I guess there were hints in the invitation to 2017’s event. These are the major areas where I see Apple losing its charm and, in turn, the thing that used to make its products feel “uniquely Apple” — but there are quite a few smaller, though still significant, areas. I don’t know anyone who works at Apple so I don’t have much authority to speak on the internal culture of the company, but they don’t seem to use creative internal code names anymore. It’s very concerning that Apple’s first foray into original television content was really, really bad. Really. Camping out in front of an Apple store for product launches used to be an event in itself, but retail chief Angela Ahrendts wants to make that a thing of the past. With the possible exception of 2016's iPhone 7 event,⁹ Apple hasn’t hidden clues in its event invitations since September 2013, when the company told us that the iPhone 5c would “brighten everyone’s day.” The invitation had a colorful design that foreshadowed the iPhone 5c’s availability in multiple vibrant color options. It also featured bubbles that resembled the god-awful cheese grater case. Apple still makes great products. I’ve been looking forward to getting an iPhone X for months now. Face ID seems like incredible technology and I can’t wait to use it (and, yes, I’ll probably play with Animoji once I get my new phone). What Apple is doing with augmented reality is seriously impressive: I’ve been blown away by some of the things developers have already done with ARKit in the brief time they’ve had access to it. But the Apple of today is not the Apple of 2007 or of 1984. It’s a much bigger company that exists in a technology landscape that is dramatically different, in no small part because of the revolutions it helped create. But I fear that as Apple grows and its environment changes, it is forgetting its roots. Apple doesn’t pride itself on being for the crazy ones anymore. It doesn’t see itself as rebellious anymore. And maybe that makes its products feel less charming, and a little less special. ^ In The Structure of Scientific Revolutions, Thomas Kuhn argues that natural science evolves through paradigm shifts: When a theory develops enough anomalies, a new scientific theory is needed in order to address these problems. I think the same pattern generally holds for technological developments, though it’s disrupted by corporations attempting to accelerate the process for profit. The fact that Apple doesn’t rush to release technology that isn’t ready just so it can be the first one to the revolution is sometimes misinterpreted as an inability to innovate. As a matter of fact, Apple’s schedule of yearly major releases is a slight concern of mine here. The recent trend toward big features (Night Shift, Portrait Mode) coming in point releases of iOS suggests that maybe it’s time to move away from this schedule. But another post entirely could be written about Kuhn in the context of technological development, so I’ll stop here. ^ The exception here is Siri. Personally, I hardly ever use Siri. More than enough articles have been written about the problems with it, although, as I understand, there have been a lot of improvements to Siri recently. But it’s almost a requirement that virtual assistants have a bit of wit and that they, well, feel human. ^ I wonder what the Finder icon would look like if it were designed by Apple today. I can’t imagine the company moving away from the Happy Mac, but if it decided to start completely fresh, what would it do? My best guess is some sort of representation of folders, like the Files app in iOS 11. ^ This refers mainly to Jobs, but also to all the other executives who’ve left Apple since 2011. Scott Forstall, in particular, was a huge loss. Regardless of how you feel about skeuomorphic design, Forstall was instrumental at Apple and had an amazing stage presence; I remember hoping he would be CEO after Jobs. If you haven’t seen it yet, his June 2017 interview at the Computer History Museum is definitely worth a watch. Katie Cotton, the former head of public relations, left in 2014; Bozoma Saint John left for Uber in June; and there has been a mass exodus of people going to work for Tesla. 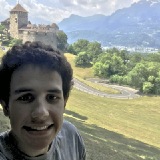 ^ As a string theorist in training and recent graduate of the University of Chicago, I feel it’s necessary to mention that I generally disagree with the statement of Newton’s flaming laser sword as a matter of principle. I don’t necessarily place a lot of importance on what can be verified by experiment — but it applies in this case and it has a great name, so I couldn’t pass up the opportunity to use it. ^ For the pedants: I’m using the word “keynote” here to refer both to WWDC and to “special events” like the 2017 iPhone event, even though the latter might not technically be considered a keynote by certain definitions. ^ I’ve neither done nor seen any kind of data analysis on this, but it feels like they haven’t been using this type of language as much recently. I assume there’s not much of a difference in ease of use across different systems anymore. I don’t have much authority to speak to that, though, because I haven’t used a non-Apple operating system other than Ubuntu for any extended period of time in well over a decade. ^ It’s possible to make a weak case connecting the tagline on the invitation (“See you on the 7th”) to the fact that the event was for the iPhone 7 — that is, that the date itself hinted at the name of the device. A better argument could tie the bokeh on the invitation to the introduction of Portrait Mode. UChicago '16, ETHZ '18. Interested in physics and tech.